An alarming Facebook post was recently sent to me by some of my followers on social media. It's about a certain "Super Bug" and the effects of misusing a medicine called DALACIN-C.
People close to me and those who have been following me for a long time know that my skin is far from perfect. On my YouTube channel and here on my blog, I post beauty tips and I also share the treatments I get to combat my acne. 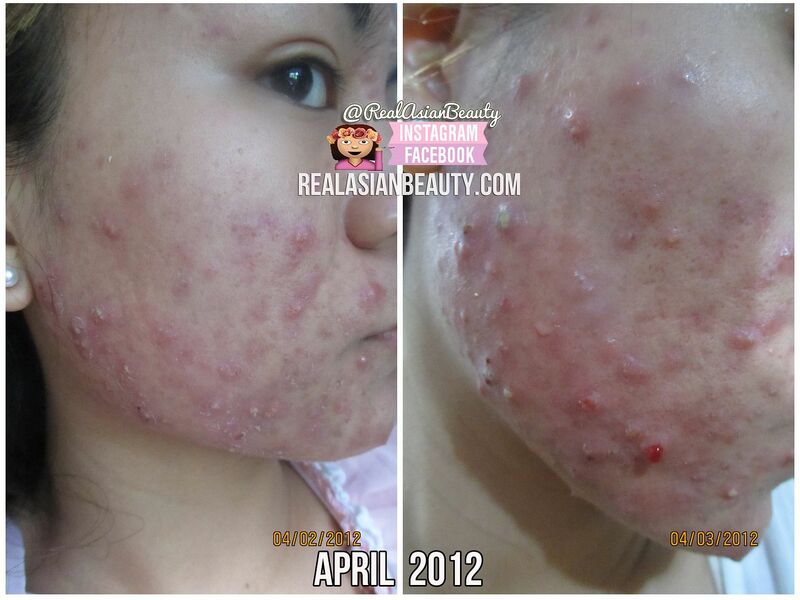 I have done a lot of treatments, tried a lot of products and did several regimens for my acne. But today specifically, I want to talk about ESKINOL and DALACIN-C.
ESKINOL and DALACIN-C is a widely-known, inexpensive solution for acne. Back in the day, this can be bought over-the-counter and anyone can use it freely without regulations. This solution is so popular that even Mothers and Aunts know about it. 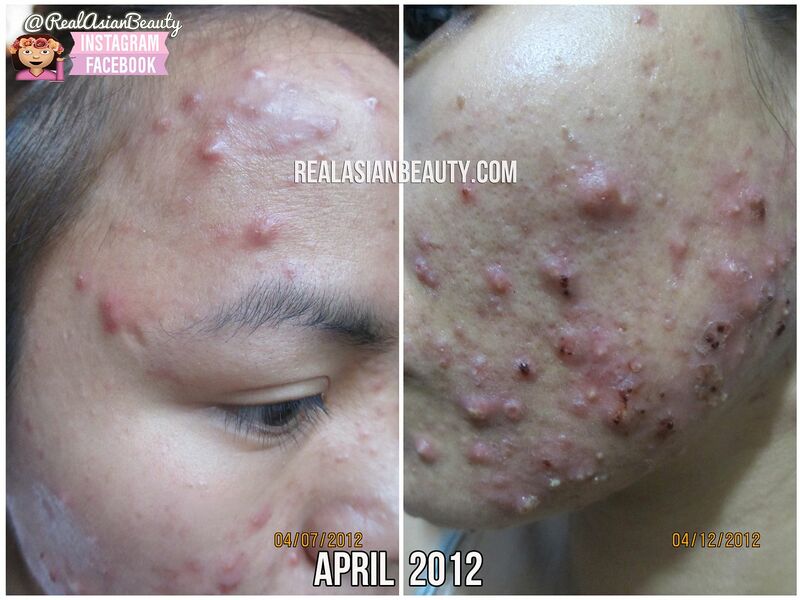 I first learned about the "magical" acne solution in High-school. A was a teenager then and I saw some of my friends use it. They said it was taught to them by their Moms. They said it's so effective and it's dries out the pimples in just a few days! But at that time, I really didn't have much issue on my skin. So I never got to try it then. 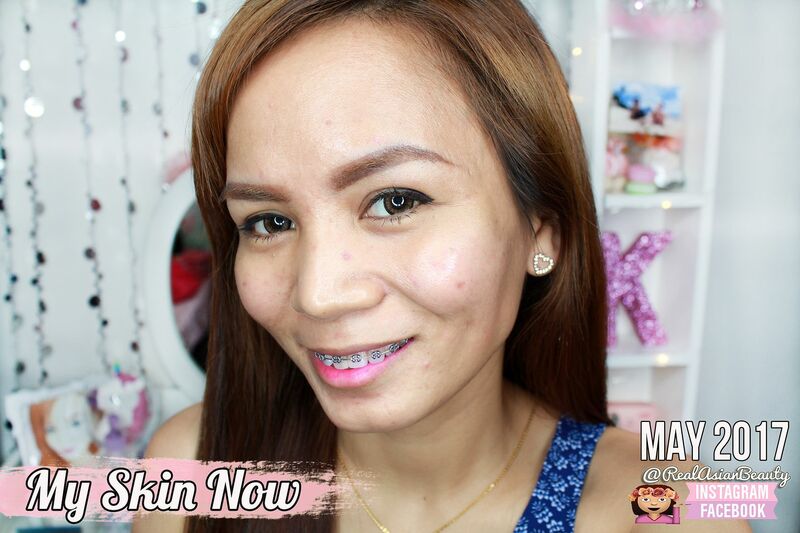 To give you an overview, let me share with you a BEFORE and AFTER comparison of my skin while I was using Eskinol and Dalacin C. In the BEFORE picture, you see that I had active bumps on my cheeks, forehead and the areas around my mouth. In the AFTER picture, you see that the bumps are gone. Take note that the transition happened in just a week! This time, let me give you a more DRASTIC transformation. Yes, I had SEVERE ACNE BREAKOUT. In the left photo, you will see how awful it was. My face was filled with active, cystic acne. My skin was rough and bumpy. I remember it also had nasty pus. Now, to the right of the photo, you will see my transformation. This is how my skin looks now. (May 2017) I still get few bumps and minor pimple breakout, especially when I am on my period. But nothing really radical or extreme. Now, before you get lured into rushing to the nearest drugstore to buy yourself a bottle of Eskinol and Dalacin-C, I really hope you could read through this whole blog post. I will try my best to make this blog post as informative as possible. 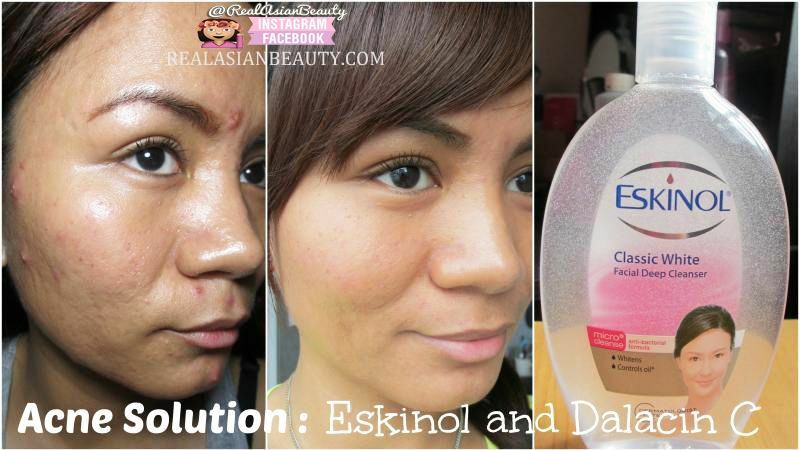 I will also share my acne story and my personal experience using the Eskinol and Dalacin-C. I will also talk about the HARMFUL EFFECTS of misusing antibiotic. PLEASE READ THIS BLOG POST UNTIL THE END. I have previously recommended this solution here on my blog and on my YouTube a couple of years ago. Back then, I wasn't really aware of the effects of this on the body. I just knew it was effective and it worked on me so I thought of sharing it to my followers. But now that a lot of issue are rising, I felt that I had to follow-up my post. As a blogger and online influencer, I know that I have the social and moral responsibility on the things I post, stuff I say and products I recommend. I want to make this blog post as comprehensive as possible. On the viral Facebook post that I read, I felt nothing but fear. It was an in-your-face DON'T-USE-IT-ITS-HARMFUL type of post. I was so scared after I read it that I immediately wanted to ask a genie to take me back to the past so I could undo it and not use the solution anymore. But things don't work like that. Good thing, I was able to talk to a licensed doctor/dermatologist who was kind enough to talk me through the issue and explained to me everything. I will not mention his name but he was really a big help while I was researching about this topic. Now, I want to post something that will not just scare the readers but will also give them enough knowledge on the matter. HOW IS THE SOLUTION MADE? 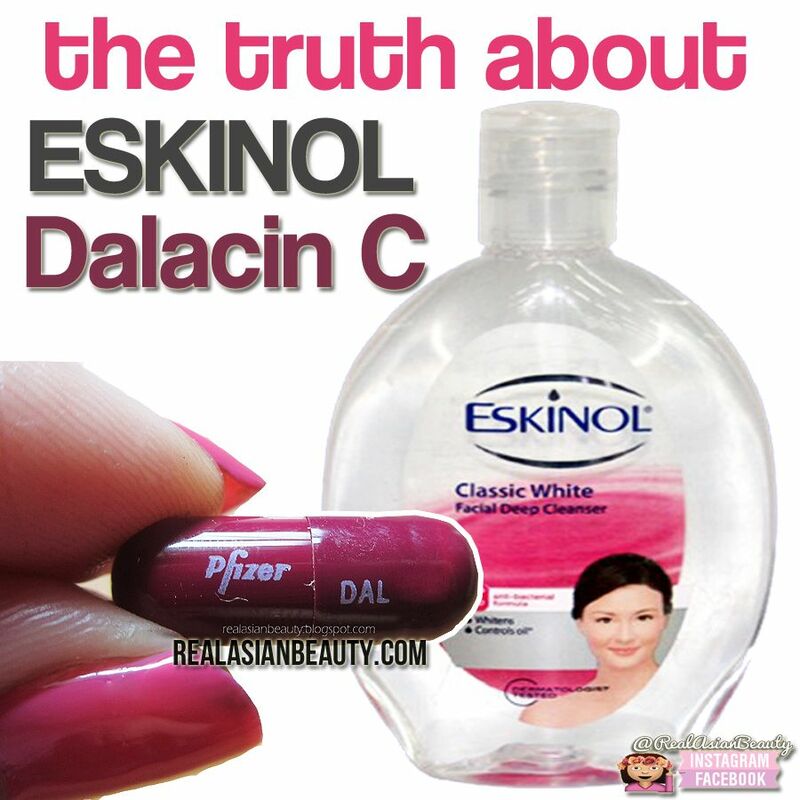 The solution is made of just 2 components : ESKINOL and DALACIN- C Capsule. 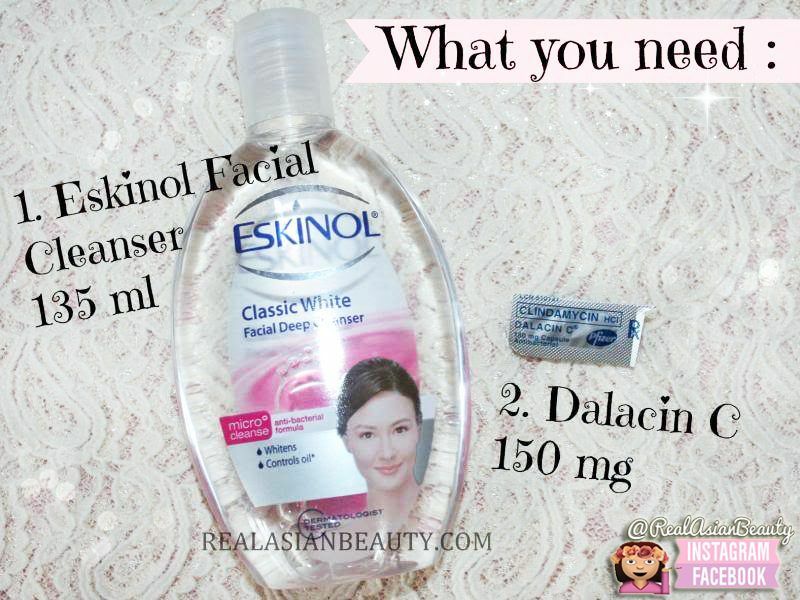 Eskinol Facial Cleanser costs around Php 55 (~$1) for the 135 ml bottle while the Dalacin-C capsule costs around Php 65 (~$1) per 150mg capsule. 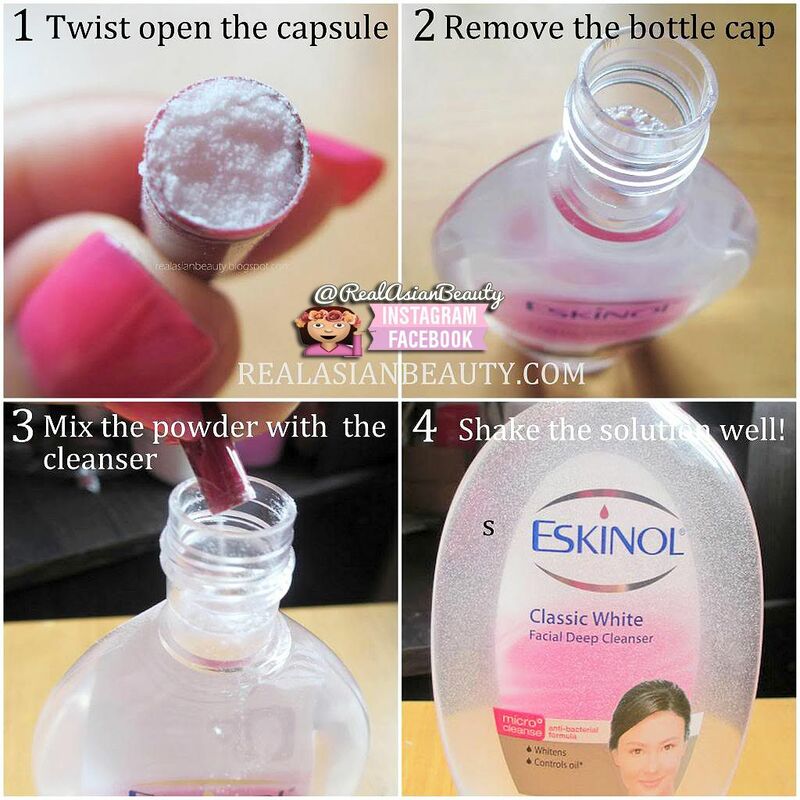 The next step is to open the capsule, remove the cap of the Eskinol bottle and empty the capsule in the bottle. Mix the powder with the cleanser by putting the cap back on the shaking the bottle vigorously. After that, the solution is done and ready to be used. According to the Doctor that I have spoken to, Dalacin-C used to be widely-available then because the Department of Health hadn't issued a Regulation order on antibiotics yet. At that time, it used to be available over-the-counter as if one was just buying a regular anti-headache tablet. But recently, DOH ordered a REGULATION on the purchase and use of antibiotics. Now, Dalacin-C mostly can't be purchased easily because pharmacists now ask for prescription before selling you one. Also according to the doctor I have spoken to, DALACIN-C is put inside a capsule because it is meant to be taken ORALLY. Applying it on the skin as a topical remedy doesn't guarantee 100% cure from acne. 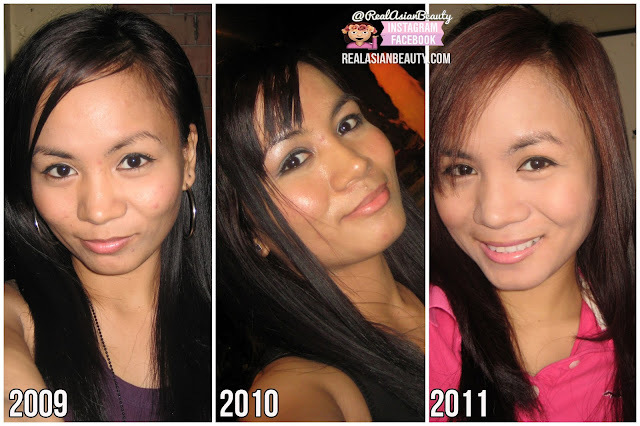 To give you a background on my skin, I've attached photos of me in years 2009, 2010 and 2011. You can see in the picture that (aside from not knowing how to draw eyebrows) I used to have pretty decent skin. I did have several spots but nothing that looked like it would lead to a major acne breakout. That is why it came as a shock when I had the breakout in 2012! This was me in 2012! It was HORRIBLE and UNBELIEVABLE! Until this day, I still don't know what caused the breakout. It could be stress or it could be hormones. 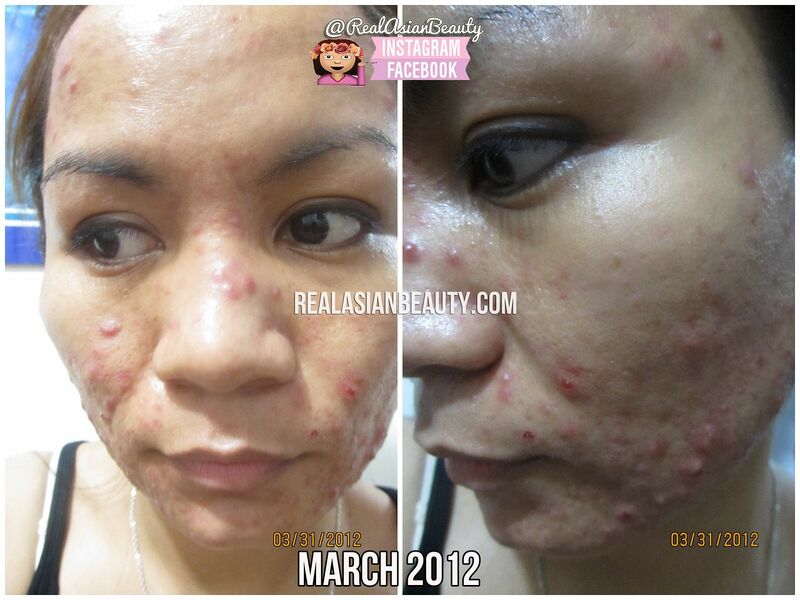 That's when I decided to use the famous Eskinol and Dalacin-C solution! It was so easy to purchase then as it wasn't regulated yet. It only costed me Php 100 for the 2 ingredients. I thought my acne would clear up but it did not! Actually, it became even more horrible! It was as if the pimples were aggravated! They became worse! So, I stopped using the solution. I wasn't even able to finish the whole bottle. Every time I see my old photos I can't help but have mixed emotions. Somehow, I feel a bit disgusted on my face, really. But part of me honestly feels thankful. It was early 2012 when the breakout happened. It was also my 26th birthday then. A friend was able to take this photo of me as I was blowing my candle. 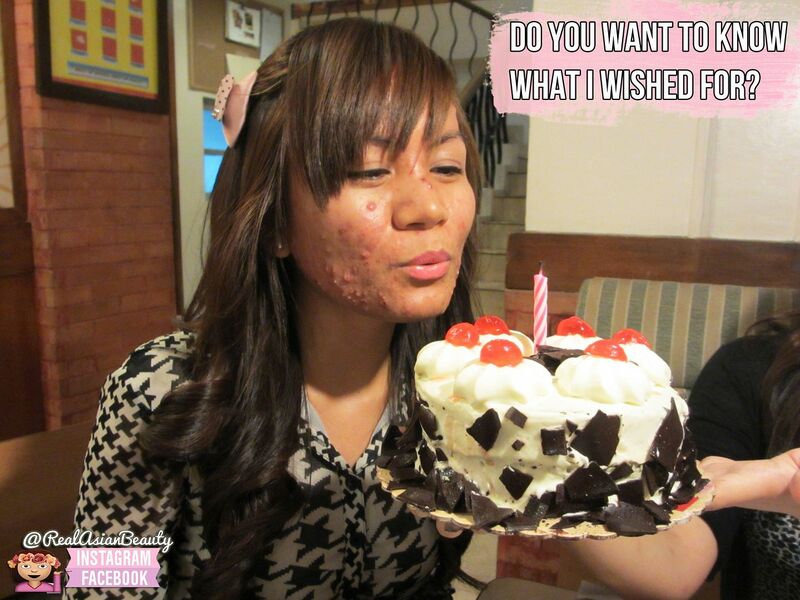 Really, I wished for my acne to disappear right there and then. I will be honest and say that ESKINOL and DALACIN-C weren't the only solution I used. As a matter of fact, I used a lot of products and had different treatments. I was lucky enough I was sponsored by FLAWLESS. They gave me facial services, Flawless products and after-care. In-house doctor of Flawless also prescripted me to take Tetralysal 300, which is another form of ANTIBIOTIC! This was one of the most challenging stages of my life. This was the point in my life where I dreaded even washing my face. At that time, my whole face was swollen and it was painful. I hated each time I had to wash my face because that meant soap and water would have to go against the pus on my face. It was so painful! I cried each time I washed my face! This was also the time I experienced sever pus and my face began scabbing. 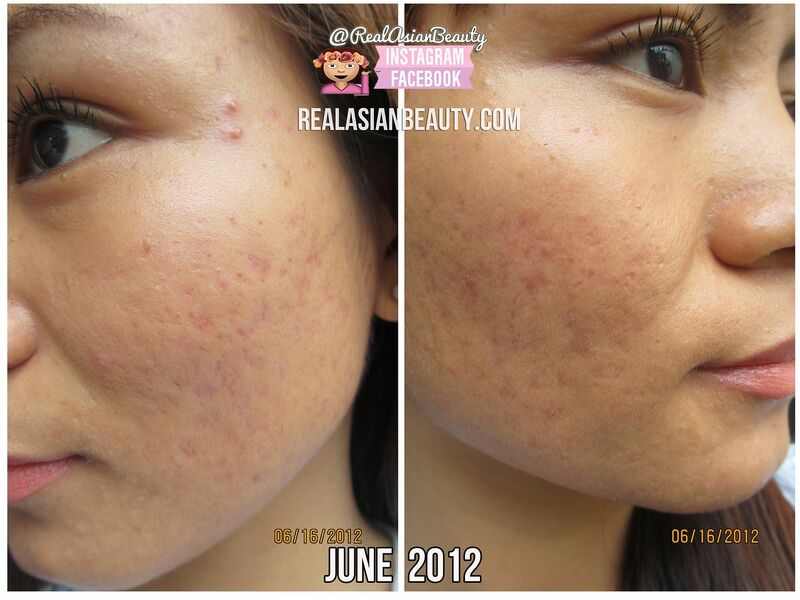 I went to Flawless every 2 weeks for facial / acne pricking. I still remember how the facial attendant pricked each spot and at least 2 or 3 pus would be extracted from each spot. It was disgusting and horrible! I thought I would have to live with that face my entire life. I was already a blogger then so I went through depression when I thought my face had no chance clearing up. With the help of constant facial treatment, water therapy, right products, and prayer, my skin finally improved a bit after 2 months! 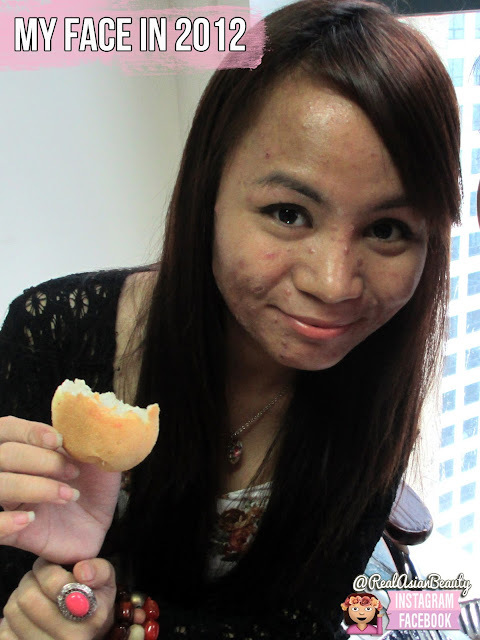 In June 2012, my face was finally PUS-FREE!! I was so thankful then because I saw an improvement on my face. I maintained all the facial treatments and products I was using then. 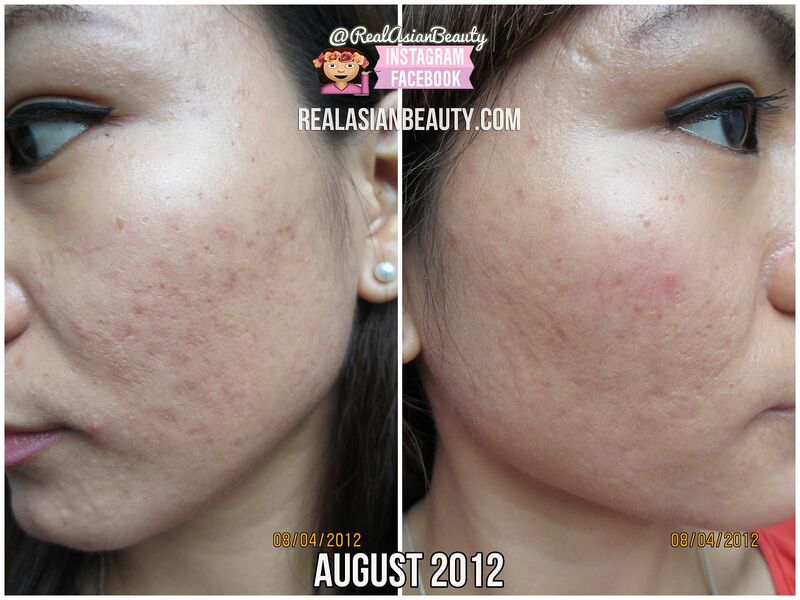 Around September 2012, I was already ACNE-FREE! I mean, not really acne-free, but the breakout was tamed. After that, I had to deal with acne scars, but that is a different story. Around that time, I decided to use Eskinol and Dalacin-C again as my maintenance or "instant cure" whenever I would get spots. This solution has mixed opinions from consumers and experts. Some people say this is really effective, to the point that it was recommended to them by their Dermatologist, etc. Meanwhile, some people say it is dangerous and should not be used without prescription. Personally, I did not overuse this solution. Often, I just used it as "quick remedy" for my spots. But I didn't used it consistently. Now, I know I am contradicting myself here. But first, let's talk about what Dalacin-C really is. Dalacin-C is a type of ANTIBIOTIC that contains active ingredient CLINDAMYCIN. It is used for treating infections and is placed inside a capsule, which means it should only be taken ORALLY. On the viral Facebook post, it was mentioned that MISUSE of this medicine can cause to cancer in the intestine. I wanted to be sure I post only confirmed information so I consulted a licensed doctor before I wrote this blog post. *That was my number 1 question! I wanted to know if I will die because I used DALACIN-C already! He said that it's different per patient, the worse case could be that, but the most common side-effect of over-using Dalacin-C is that the patient would be IMMUNE or RESISTANT to ANTIBIOTIC. WHAT HAPPENS WHEN A PERSON IS IMMUNE TO ANTIBIOTIC? *Because antibiotics are strong medicine and should be taken with caution, misusing it could lead to complications. Let's stay one day, you get sick and you need to be treated with ANTIBIOTIC. Because you have been IMMUNE / RESISTANT to the drug, your body have already adjusted to it therefore it will not take effect anymore when it is truly needed. In Filipino, maaaring hindi ka na gumaling sa sakit kapag ginamot ka ng antibiotic dahil nga immune ka na dito. WHAT CAN A PERSON DO IF HE/SHE IS IMMUNE TO ANTIBIOTIC? *According to the doctor I have consulted, there are different "classes" of medicine. Let's say a patient is immune to CLASS 1 antibiotic, the doctor would be forced to prescribe CLASS 2 medicine to treat the patient's illness. Most of the time, higher class medicines are strong and more expensive! WHAT CAN YOU DO TO PREVENT ANTIBIOTIC IMMUNITY? *I know I have previously vlogged and recommended this solution to you guys. But as a blogger, it is my responsibility to follow-up on the things I post and recommend. I believe death and cancer are the last things God would give you just because you wanted to get rid of your acne. I truly believe that. For now, what you can do is to STOP using the solution. I myself believe I haven't been immune to antibiotic yet but I am taking precautionary step and will stop using it now and in the future. The good news here is that I have tried other products that seem to work well on my skin type. My skin did not go back to it's appearance in 2009-2011, but I am still grateful I only get a few bumps from time to time. I want to show you how my skin looks now as of MAY 2017. The last time I remember I used Dalacin-C and Eskinol was in February and didn't even finish the whole bottle. I do not intend to finish it anymore. I hope this post was informative and inspiring. 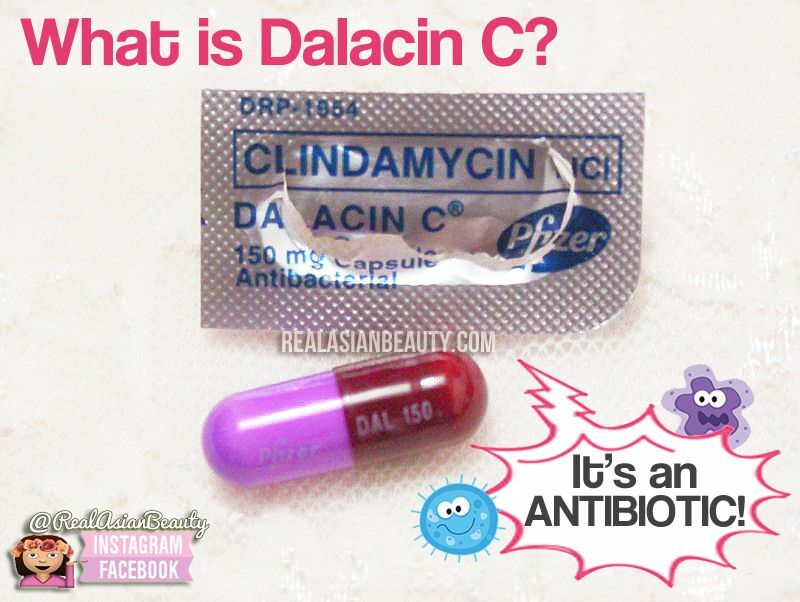 If you have read the FB post and have used Dalacin-C before, please do not be frightened. This solution has been around ever since our Moms and Aunts were our age and we didn't hear anyone got cancer or died because of this. I am certain the reason why DOH has issued a drug regulation on this is because they do not want people to misuse and overuse the drug. I also believe, like what I have said, that God will not let us have cancer or die just because we wanted to cure our acne. God does not work like that, trust me. Right now, I would suggest you guys to "CLEANSE" and "DETOXIFY" your body. Drink lots of water, eat fruits and vegetables and take vitamins and eat less junk food. In that way, you cleanse and beautify your body from within. I would also suggest that you guys do your RESEARCH and ask people that know well about a certain topic. I myself am a blogger but I discourage you guys to TRY and BUY everything you see on the internet.  For all you know, it could be a paid or sponsored promotion. It is still wise to ask people who have experience and knowledge before you try something. This post was NOT sponsored by Eskinol nor by Dalacin-C. If you found this post helpful, please go ahead and check out my other ACNE posts HERE. Don't forget to FOLLOW RealAsianBeauty on social media!